I wonder if it has PCB issues as well. Size didn't stop the razing of Penn Station, which was larger. It wasn't even that long ago Solow tore down another large Con Ed plant on the East Side in a blink of an eye. Vornado planned to (and still might in the future) tear down the Hotel Pennsylvania, which is also another massive building. They'd bring down the Pentagon if there is enough financial incentive. What will be interesting to see is when Riverside South is finished and Hudson yards is completed if there will be a bullseye on things like the IRT plant, maybe the warehouses between Westside Highway and 11th Ave in the west 40's to low 50's. ^ Especially when it's not true . Let's clear up some misconceptions about the building. The MTA does not own it. It is owned by ConEd, and used for steam generation. It has been considered for landmark designation several times. What has blocked it is that ConEd has been opposed, mostly on their assertion that it would interfere with operations. If at some point ConEd decided that the steam plant was no longer viable, then the main roadblock to landmarking would disappear. I should probably re-name the thread, but in the meantime, here is going up in the space that once was Manhattan Mini-Storage on West 58th. On Nov. 5, the IRT Powerhouse comes up for its fourth public hearing since 1979. 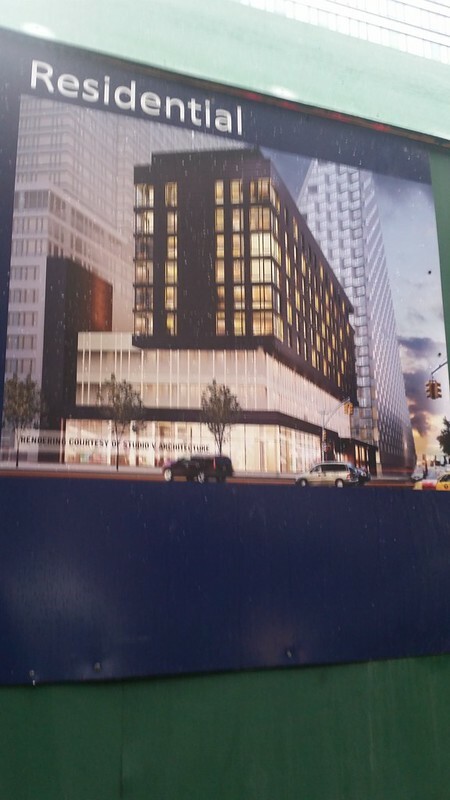 Twenty other Manhattan buildings will be considered that day. 'frank' looks alright as compared to the other two, which i just dont care for.